Victory is sweeter the second time around. 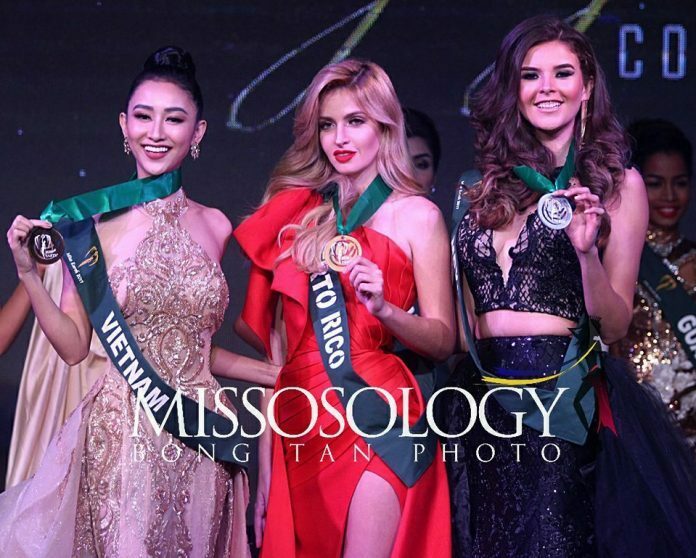 Miss Puerto Rico Karla Aponte won her second gold medal on Sunday, October 22, after topping the Miss Earth 2017 long gown competition for Group 3 delegates held at the Landbank Auditorium in Manila, Philippines. Miss Mexico Karen Bustos and Miss Vietnam Lê Thị Hà Thu won silver and bronze, respectively.